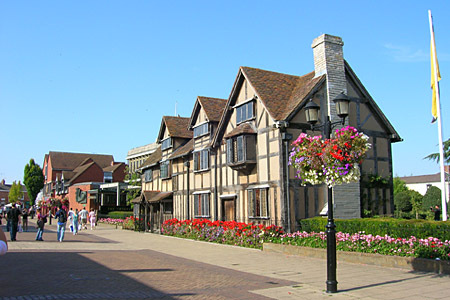 Stratford-upon-Avon is a picturesque, medieval market town, most famous for being the place where William Shakespeare was born. (if you would like to find out more about William Shakespeare, click here). Set on the banks of the river Avon, amidst beautiful Warwickshire countryside, Stratford-upon-Avon is steeped in history and culture. 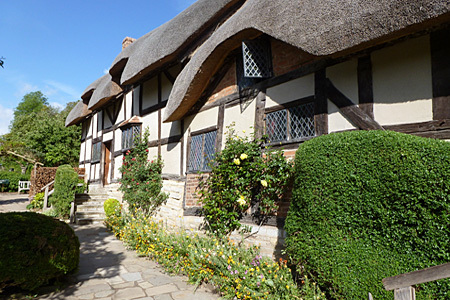 Here are some things to see and do that are within 10 minutes walking distance of Green Haven (with the exception of Anne Hathaway's Cottage and Mary Arden's House). City Sightseeing - Stratford-upon-Avon - This is an open-topped double decker bus service that will take you on a tour around Stratford-upon-Avon. It is a great way to discover all that Stratford-upon-Avon has to offer. 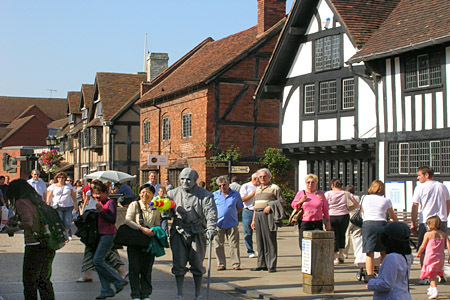 Stratford Town Walk - This daily guided sightseeing walk follows Shakespeare's footsteps from his birthplace to his grave. There is also an evening Ghost Walk, with tales of ghosts, witches, murder and magic. The guides are members of Equity and are professional magic entertainers. River Cruise - Experience Stratford from the river Avon. Choose a walk-on sightseeing river cruise, lasting around 45 minutes or hire a rowing boat or a punt for half an hour. Alternatively, you may prefer to enjoy a romantic dinner on board The Countess of Evesham. A 70ft restaurant cruiser. Shakespeare's Birthplace - This is the house in which William Shakespeare was born and grew up. Anne Hathaway's Cottage - This was the pre-marital home of Shakespeare's wife. It is located in Shottery, approximately one mile from Stratford-upon-Avon. Mary Arden's Farm - This Tudor farm offers an insight into the Elizabethan way of life. It is where Shakespeare's grandparents lived and where his mother, Mary Arden, spent her childhood. It is located approximately three miles outside Stratford-upon-Avon. Nash's House and New Place - Nash's House belonged to Shakespeare's granddaughter, Elizabeth. It adjoins the site of New Place, where William Shakespeare died in 1616, aged 52. Hall's Croft - This is where Shakespeare's eldest daughter, Susanna, and her husband, Dr John Hall lived. They moved to New Place following the death of Shakespeare. Holy Trinity Church - Where William Shakespeare was baptised and is now buried. Royal Shakespeare Theatre - The theatre has undergone a three-year transformation. It now boasts a one-thousand-plus-seat thrust stage auditorium, a rooftop restaurant and a thirty-two meter high viewing tower with fantastic views over Stratford-upon-Avon and beyond. The RST combines the talents of the finest actors and directors, together with The Bards greatest plays, producing a wonderful experience not to be missed. Stratford Racecourse - Stratford Racecourse is one of the country's leading small racecourses, with a reputation for excellent levels of prize-money. 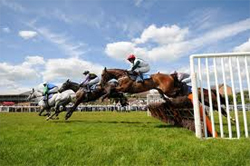 Racing takes place regularly between March and November, with many of the top jockeys riding here. 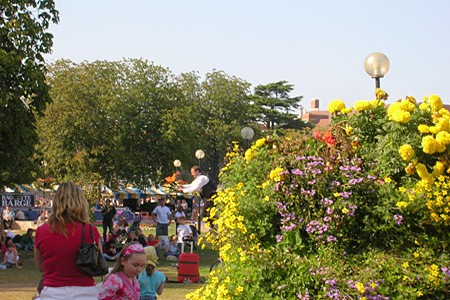 The Summer racedays attract family groups who can picnic in the centre of the course, making use of free admission for under 18's along with the free children's entertainment on afternoon weekend meetings during holiday time. Stratford Butterfly Farm - See hundreds of spectacular, colourful butterflies and learn about their amazing life cycles. Falstaff Experience - This is a museum of Tudor life set within one of Stratford's most historic, haunted buildings. An interesting and scarey insight into Tudor history. Stratford Bike Hire - If you would like to explore Stratford by bicycle then Stratford Bike Hire will deliver to the door of our guest house and collect again.